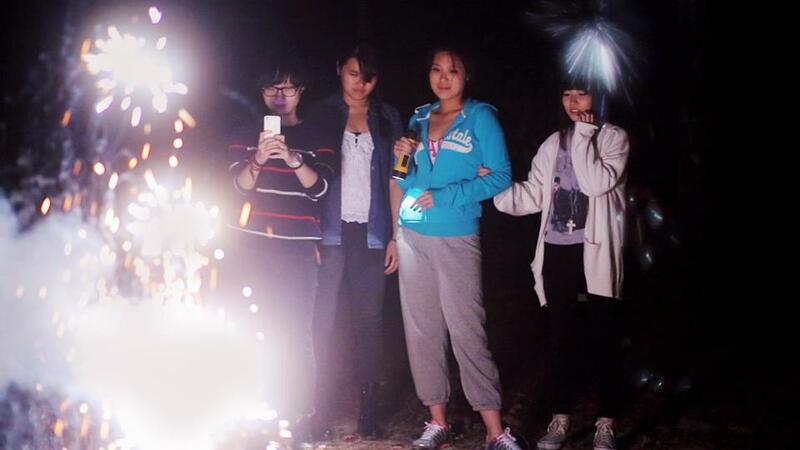 A scene from director Miao Wang’s documentary “Maineland,” about two Chinese students at Maine’s Fryeburg Academy. When director Miao Wang screened her 2010 documentary, “Beijing Taxi,” at Fryeburg Academy, a private boarding school in Fryeburg, Maine, she was surprised to discover that at least one-third of the 160 international high school students enrolled there were Chinese. Wang and Smith will present “Maineland” on Saturday at 7 p.m. as part of the 12th annual Martha’s Vineyard International Film Festival (MVIFF), which runs Tuesday to Sunday. Wang screened “Beijing Taxi” at the fifth annual MVIFF but the screening is also a homecoming of sorts for Smith, a former writer and copy editor for the Boston Phoenix and the Boston Globe. Smith left Boston for New York 10 years ago to produce films through his company, Cinelan. The MVIFF screening is the latest of several festival showings for “Maineland.” The film won awards at this year’s Independent Film Festival Boston and SXSW. Next, Smith and Wang head to the Camden International Film Festival (Sept. 14-17). The festival screenings will culminate in a theatrical release for “Maineland” later this year, says Smith. Other MVIFF highlights include the appearance of actor Danny Glover and his producing partner Joslyn Barnes, who’ll attend Friday at 7 p.m. to accept the festival’s Global Citizens award for their charitable work around the world. A screening of “White Sun,” produced by Glover and Barnes, will follow an onstage conversation with the pair. “White Sun” is director Deepak Rauniyar’s scripted drama about Nepal’s difficult rebirth after 20 years of war and unrest. Also notable is the festival’s International Short Film Competition and the popular Animation Showcase, curated and emceed by Oscar-nominated animator Bill Plympton. Both shorts programs screen on Saturday. In keeping with MVIFF’s global theme, there are features from around the world including British comedy “The Trip to Spain,” the third in the popular food and travel franchise starring Steve Coogan and Rob Brydon; Brazil’s “Aquarius,” starring Sonia Braga, and “The Ornithologist,” from director João Pedro Rodrigues; slapstick comedy “Lost in Paris” (France); and the tale of a man and his elephant, “Pop Aye” (Thailand/Singapore). For more information go to www.mvfilmsociety.com.